The Love Generation had Woodstock and the 70s saw the birth of Glastonbury. Coachella, Lollapalooza and Lilith Fair all started in the 1990s. It seems that most people, regardless of what decade they were born in, love a good outdoor music festival. 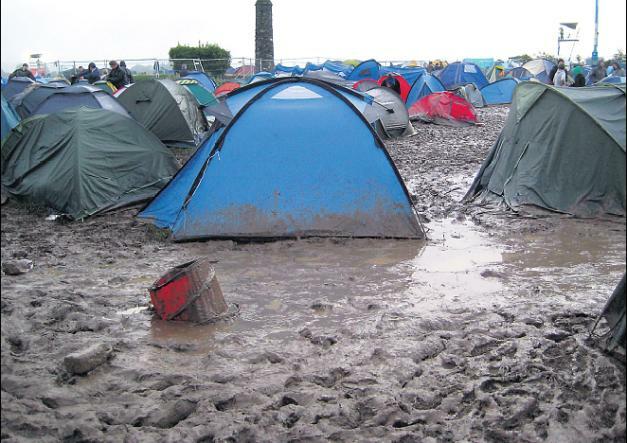 One of the best of the modern festivals is Ireland's Oxegen, which was founded in 2004. This year Oxegen is being held from July 9th to July 11th at Punchestown Racecourse in Naas, County Kildare, not far from Dublin. Oxegen is often thought to be a partner of Scotland's T in the Park, as the two events are held on the same weekend and music acts often switch out, performing at both festivals. Over 150 artists are slated to perform at Oxegen this year including big names like Muse (a great band to see live), Eminem, Arcade Fire, Jay-Z and the Black Eyed Peas. If you snag tickets you'll also be able to see one of my recent favourites, Vampire Weekend, as well as hot bands Kasabian, Florence + The Machine, and Gossip, fronted by the brilliant Beth Ditto. John Mayer, Julian Casablancas, Newton Faulkner and his acoustic guitar, Kate Nash and the Scottish singer Paolo Nutini will also be gracing the Oxegen stage, as will superstar DJ David Guetta. In recent years the average attendance at the 100% carbon neutral festival has been approximately 90,000 people a day, with 80,000 of those sleeping on site. And what better way to enjoy the festival in comfort and style than by renting a campervan? If you plan to attend with a campervan specific tickets need to be purchased, which allow you access to the van park. The campervan area is within easy walking distance of the main campsite and is equipped with toilets and drinking water taps, but no electricity. It's no question that campervan hire is an ideal alternative to bunking in tents. For more information about renting a great Ireland campervan visit http://www.cheapmotorhomes.ie/. Comfy camper or muddy tent? You decide. Diverse music, fairs, autograph tents and a variety of food options--the Oxegen Festival certainly has something for everyone. So jump into your campervan and head over, this event is something that everyone should take part in at least once in their lifetime.